GIA Pearl Reports offer thorough, unbiased analysis in an easy-to-understand format. The GIA Pearl Identification Report details the quantity, weight, shape, color, identity (natural or cultured), mollusk (when determinable) they originated from, the environment they formed within (saltwater or freshwater), and any detectable treatments. The report includes a digital image. For any loose, mounted, or strung pearls. 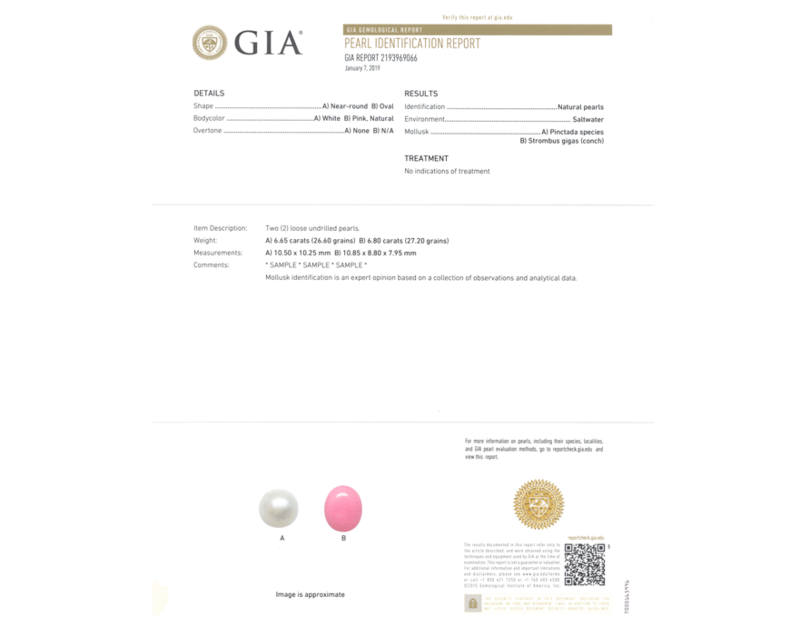 The GIA Pearl Identification & Classification Report includes all Identification Report information as well as classifications for luster, surface, nacre thickness, and matching (if applicable). For any loose, mounted, or strung nacreous pearls. 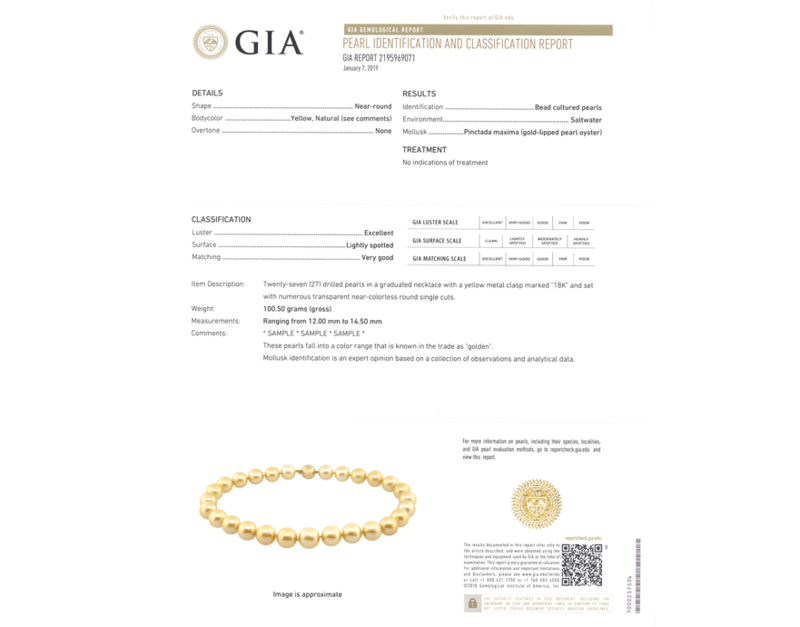 INTERESTED IN GETTING A GIA REPORT FOR YOUR PEARL?